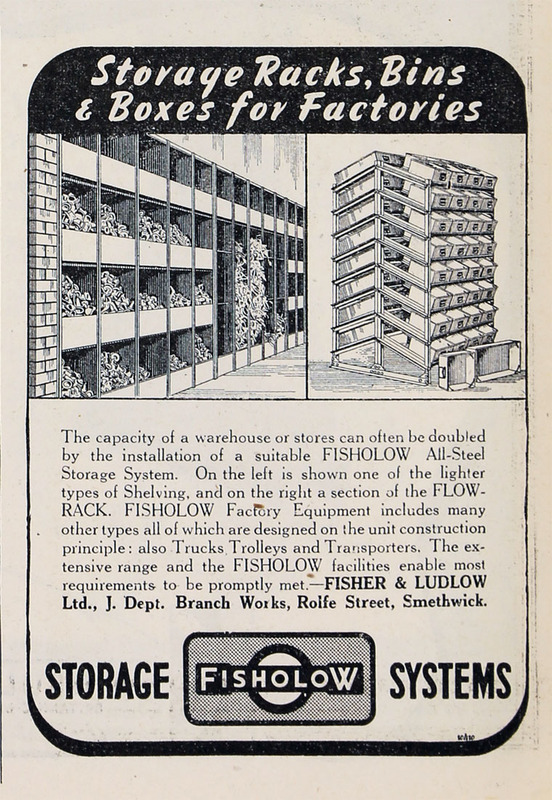 The business of Edward Fisher was carried on at Albion Works, Sherlock St.
1866 E. Fisher, of 176 Sherlock St., was a maker of Tinmen's Furniture and Tools. 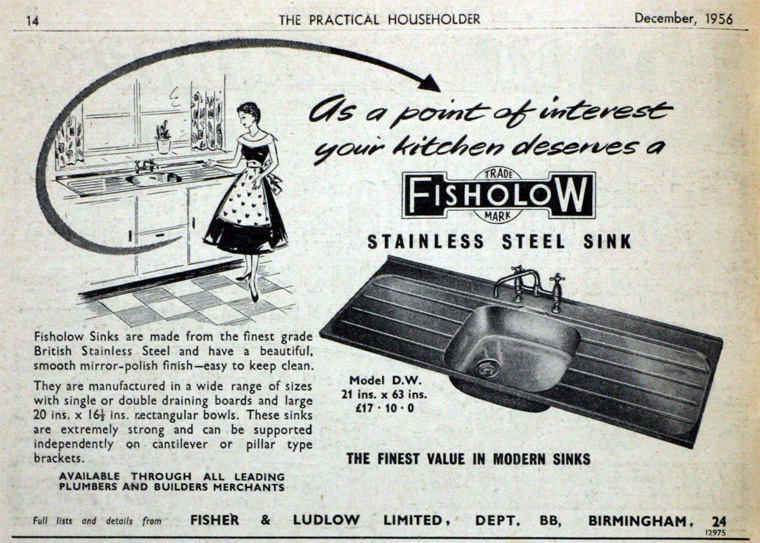 Edward Fisher of 176 Sherlock St., was a Tinner For The Trade, And Manufacturer Of Tinmen's Furniture. 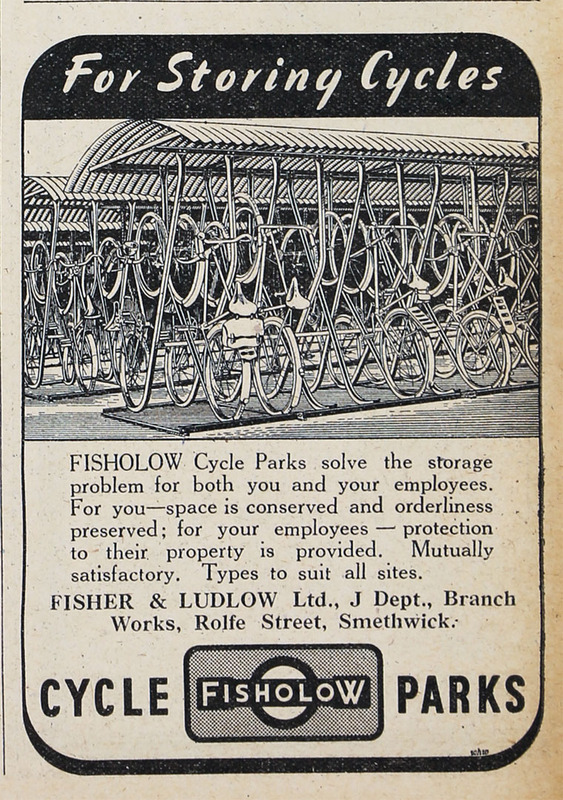 c.1882 Fisher was joined, in partnership, by Henry Walton Ludlow. 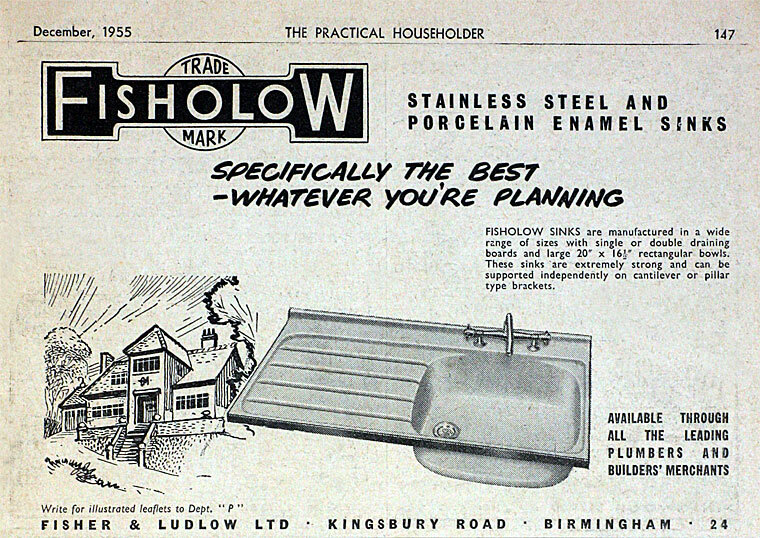 The partners began to extend and export their metal wares - kettle necks, lids and spouts, blacksmith forged buckets, heel protectors, and an assortment of stampings and piercings. 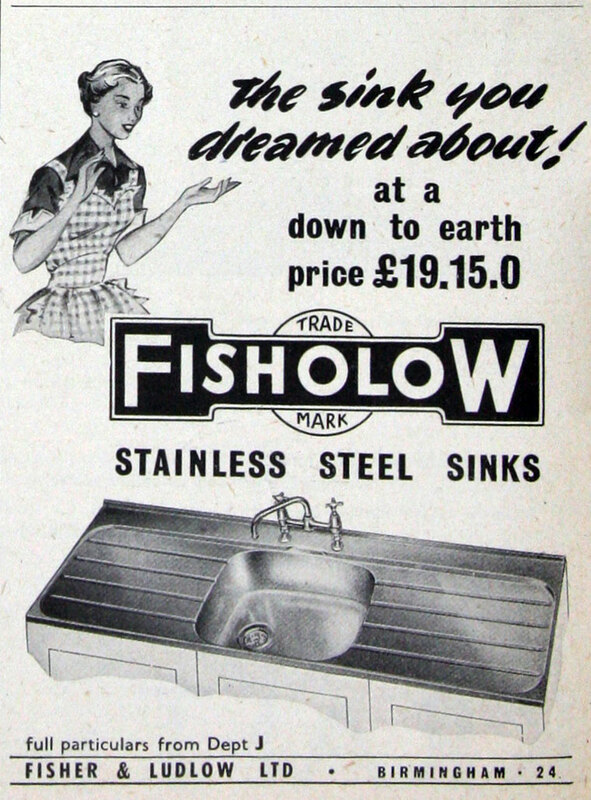 Their first government contract was for producing mess tins and camp kettles for the Boer War army. 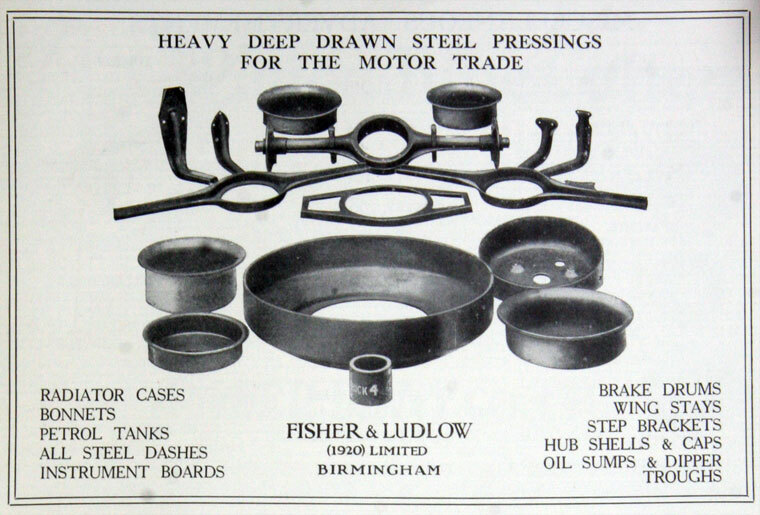 1897 Dissolution of the Partnership between Henry Walton Ludlow and Charles Showell as Manufacturers of Tinmen's Furniture and other articles at Rea-street Birmingham under the several names of Fisher and Ludlow and Lomas and Co..
1913 Fisher and Ludlow, makers of tinman's furniture, began to turn out motor body work. 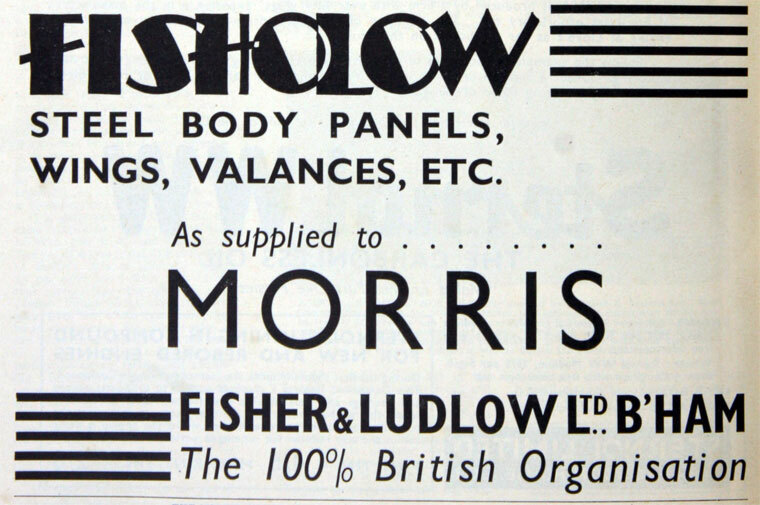 By 1938 the company was making bodies for 8 types of motor car. 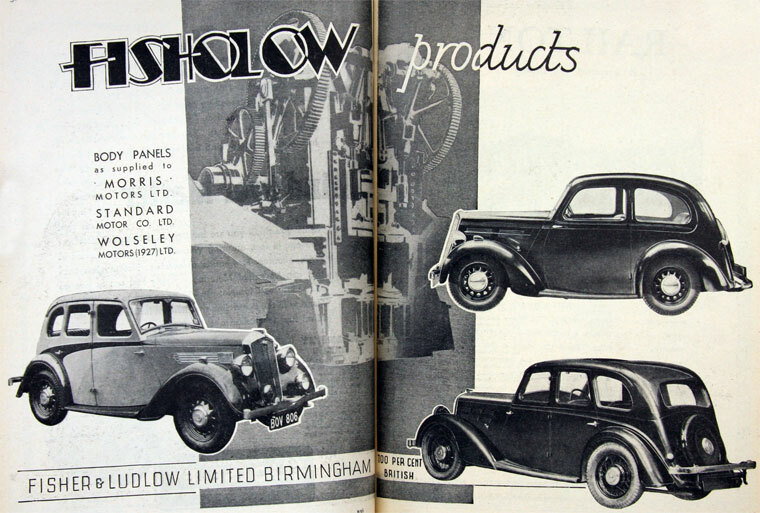 1938 The Castle Bromwich factory was specially constructed for wartime production. 1940 During the Battle of Britain, the factory was damaged by HE and incendiary bombs at 2341 hours on 15 October. Post-WWII. 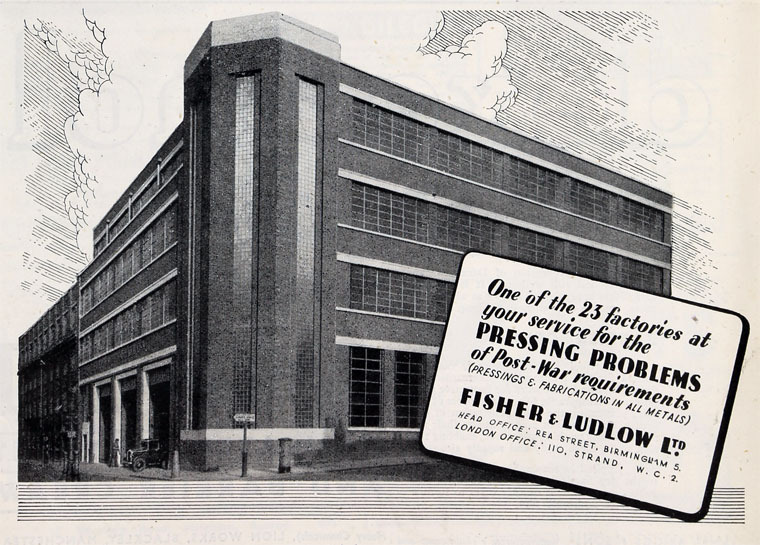 Fisher and Ludlow purchased the Castle Bromwich factory. They made car bodies for Rover and Jaguar there. 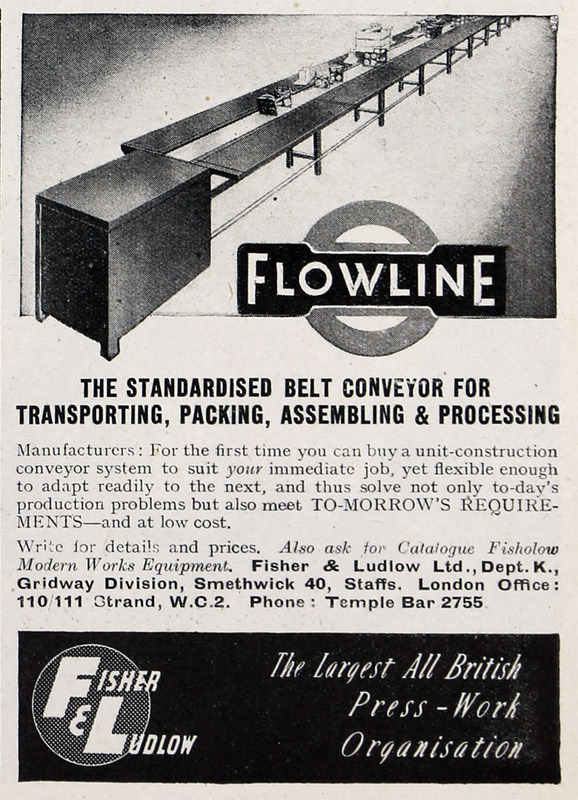 1953 They were taken over by the British Motor Corporation. 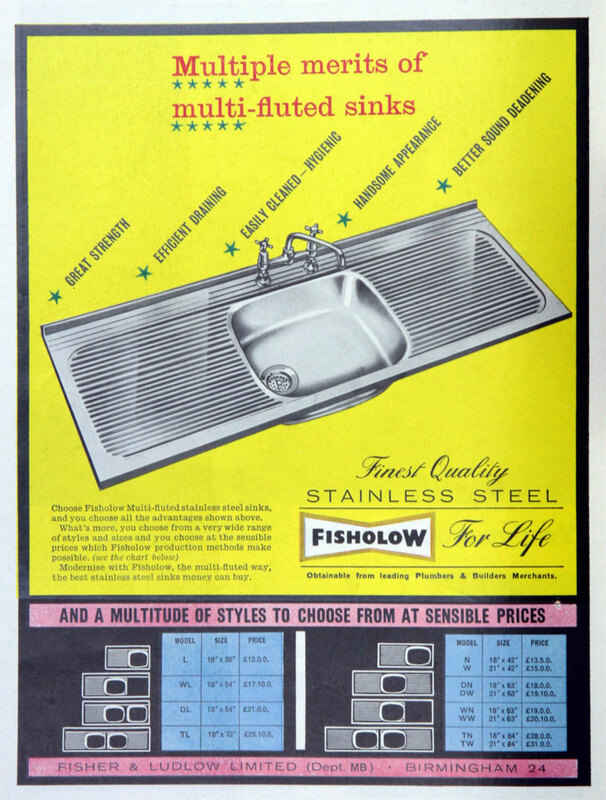 1961 Moved the domestic appliance division to purpose made factory at Kirkby, Lancs , making Bendix washing machines, Fisholow stainless steel sinks and pressed steel radiators. 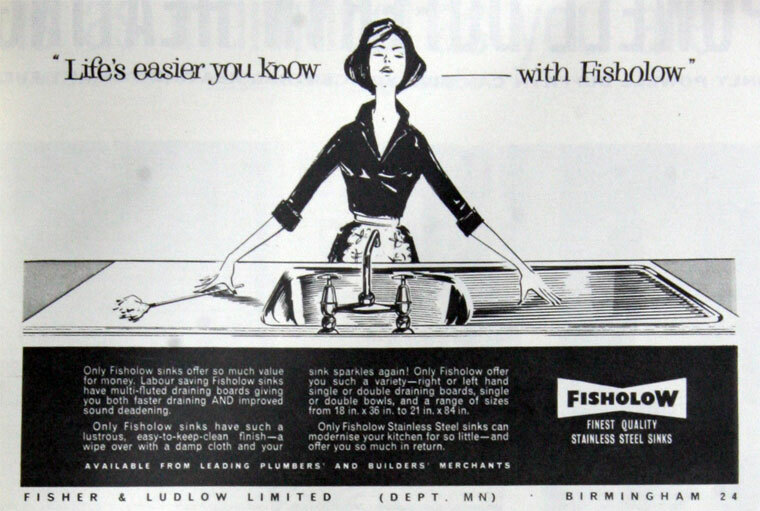 1966 Link-up with Parkinson Cowan who were seeking new products and capacity; Fisher-Bendix formed to bring together the manufacturing and marketing operations; Hugh Barker, chairman of Parkinsons, became chairman of Fisher-Bendix too . 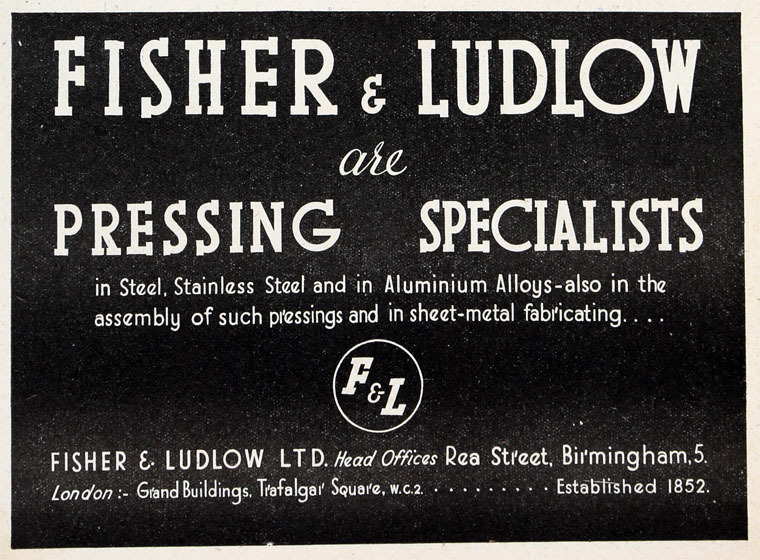 1968 Under BLMC the business of the old British Motor Corporation body-making subsidiary Fisher and Ludlow was merged with the Pressed Steel Co to form the Pressed Steel Fisher. 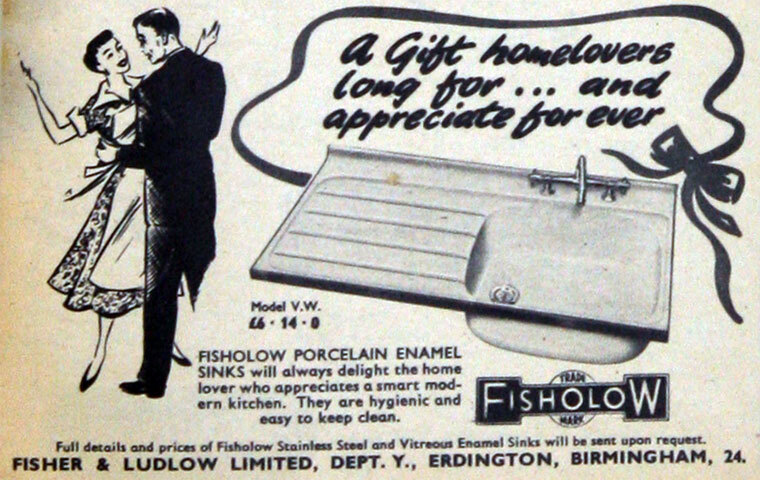 1968 Parkinson Cowan purchased Fisher-Bendix. This page was last edited on 9 February 2018, at 14:47.